We’re living in the future, folks. 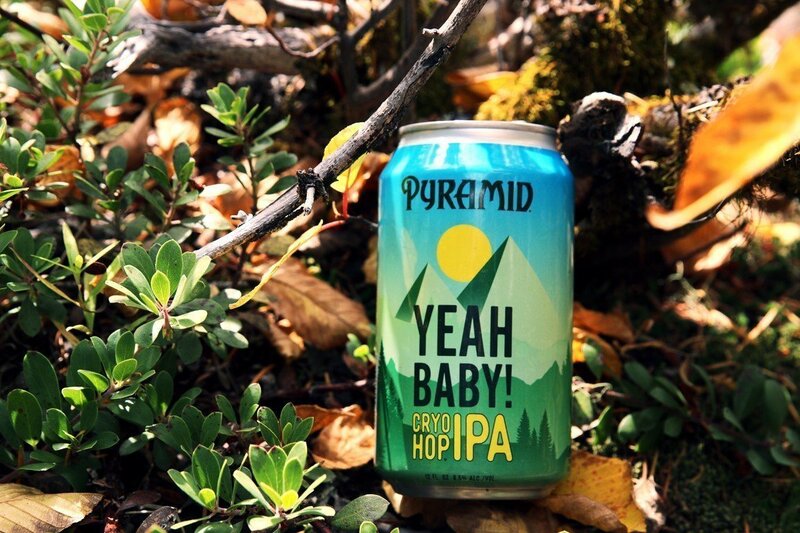 Pyramid’s latest IPA is made with “CRYO-Hops,” which is what, exactly? “CRYO-Hops are made from the concentrated lupulin of whole-leaf hops. By using liquid nitrogen to lower the temperature of the hops during processing, the resulting resins and aromatic oils provide a more intense hop experience.” So says Pyramid. It sounds like a neat trick, but I can’t say that the sci-fi treatment does anything outrageous for the hops. Today’s hop strains have so much resin and oil in them that extracting even more doesn’t seem all that impactful. Yeah Baby! is big and bold with pine resin and citrus peel notes, but not overwhelmingly more so than any other big IPA. The finish is nice and sharp, with a modest fruit component tempering some of the funkier leather and tobacco notes. With all that said, perhaps Pyramid’s greatest trick is that they jammed this much flavor into a beer that’s only 6.5% abv. It may not exactly be a session IPA, but it’s close enough for government work, and it tastes pretty good, to boot.